I like to think of January 1st as a midyear review. As everyone else is setting goals for the upcoming year, I am reassessing the goals I made for the year of 5776. When Rosh Hashana rolled around in September, I made my real resolutions for the year. January 1st is just giving me the opportunity to see how I am panning out with those goals. According to a 2009 study at University of College London, it takes 66 days to form a habit. Yet a short 103 days ago I pledged to be a more positive mother. So if I would have kept to that goal (or resolution), it would be a habit by now. 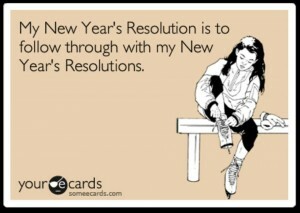 I, much like most, didn’t make it even three months with that resolution. What is an positive mother? If I were walking around town expecting my children to be saints, I wouldn’t be positive. I would be downright naive and maybe a tad stupid. I would, however, be positive if I looked at a dining experience with my children and focused on the first 15 minutes of quiet drawing instead of the last half an hour of fighting and yelling. I tend to make excuses for why I am unable to focus on the first 15. If my children weren’t so frustrating during those last thirty, I’d be able to enjoy those first 15 more. Except the only person I am hurting by walking around with that attitude or allowing this level of negativity, is myself. And maybe those three incredible (yet insanely frustrating) children. I pride myself on being a positive person by nature. Yes it may be cold, but at least the sun is out. When it comes to managing my children, I not only focus on the negative exchanges but I let them fester in me like a virus. I take the negativity from the bad times and allow it to create future bad times. In turn creating a sad environment for us all to be around. I can’t help but think that shifting my frame of thought to these specific goals will set me up for 66 days of success which will lead to a new habit and a happier life for myself and my family. So please renew my contract for another year.